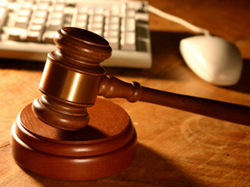 Online auctions are recent phenomena. Years ago, when people wanted to buy jewelry they went to their neighborhood jeweler who they knew and respected. They would ask his opinion and he would offer a limited range of choices, and they would then pick from those few. Today, the online auction has completely changed this scenario. Consumers now can quickly browse hundreds, if not thousands, of choices, across multiple locations, which can span great geographical distances. The pieces may be from several auction houses or from dozens. They really is no limit to price, style, age, cut, or materials, as the online auction allows pieces to flow in from all over the globe broadening the range of variety. It really has become a consumer’s market driven by the need to please customers with the most splendid jewelry one can find at the best price! In addition to creating a marketplace that is more plentiful in the variety of jewelry, the online auction has made people more aware of how to shop with an independent mind. Consumers today are more willing to educate themselves by going onto the Internet and doing some research on what defines fine jewelry. They are also more willing to shop for better prices, to ensure that they get a good (if not a great) deal, and to shop around for an extended time until they are satisfied with their choices of jewelry.